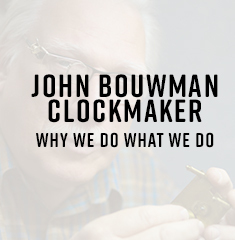 Watch our highly personalized video which tells a story of John Bouwman and the clockmaking craft. 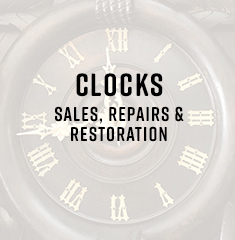 New, vintage and antique clocks. We sell and service them all. 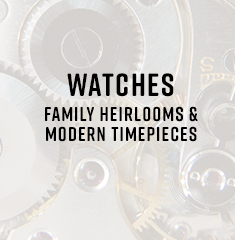 Sales and service of antique and modern quartz movement watches is our specialty. Very nice place and knowledgeable. Prices seem fair for repairs. 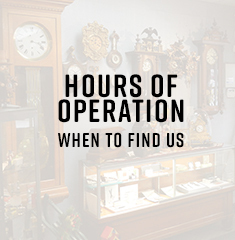 John Bouwman, the Clockmaker, buys, sells and repairs antique and modern clocks and watches. Serving the Burlington, Hamilton and Oakville area since 1972.